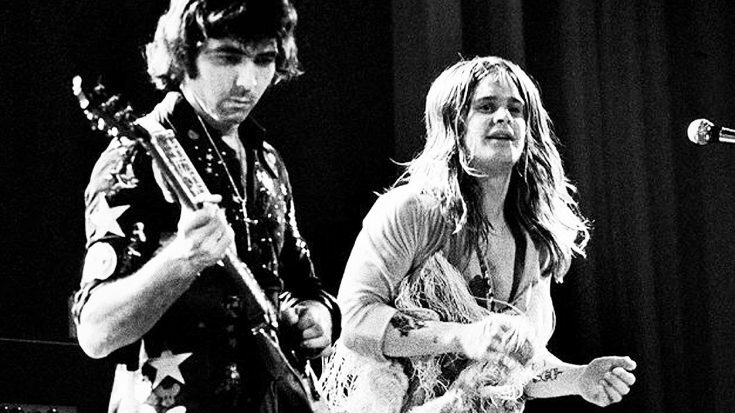 Rare Footage Leaks Of Black Sabbath Performing “Killing Yourself to Live” In 1975, And We Can’t Get Enough! Earlier this year, Black Sabbath closed the curtain on their career. Other than being willing to play a select number of one-off performances and special appearances, the band closed the final chapter on their touring days. It was a sad day in the rock world, as they were known as the fathers of modern metal music. In celebration of the band, Black Sabbath released an unreleased performance of one of their most popular songs on their YouTube page. A video of the band performing “Killing Yourself to Live” back on September 4th, 1975 was leaked to the public! The archival footage is from Black Sabbath’s show at the Santa Monica Civic Auditorium, and it sounds and looks wonderful! The footage is in great condition, and was originally released as an audio track off of their 1973 release Sabbath Bloody Sabbath. Fun Fact:Black Sabbath nearly broke up before recording a single song, when guitarist Tony Iommi left to join the more established Jethro Tull in 1969, but he luckily changed his mind. Check out the amazing footage down below!